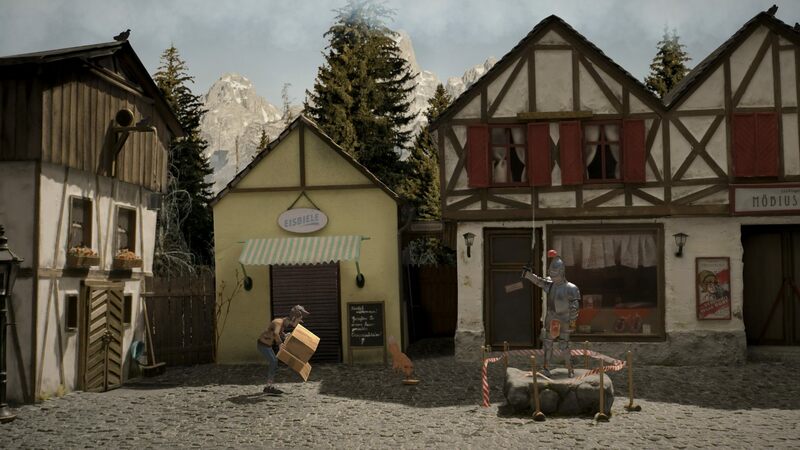 Truberbrook A Nerd Saves the World — is a sci-fi adventure created by the German studio btf, founded by several students in 2012. The story begins in 1967. American physicist Hans Tannhäuser unexpectedly wins a trip to the German village of Trubruk, although he does not remember participating in any competitions. However, he comes to the conclusion that it is worth a little rest and go on vacation. After arriving and check-in at the guest house of Valdeslust, he is robbed, but the thief only takes away his work in physics. In search of the culprit, Hans encounters very strange villagers and a young anthropologist Gretchen Lemke, the only one who seems normal. 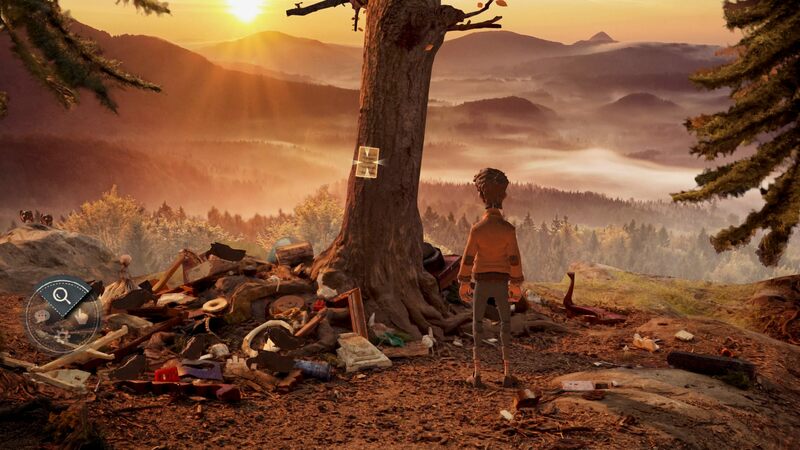 Over time, Hans also begins to realize that he did not get to Truberbrook without a reason, because the future of the world will really depend on him. Truberbrook A Nerd Saves the World is a plot-based adventure, so the plot and characters are the most important and are the focus of attention. 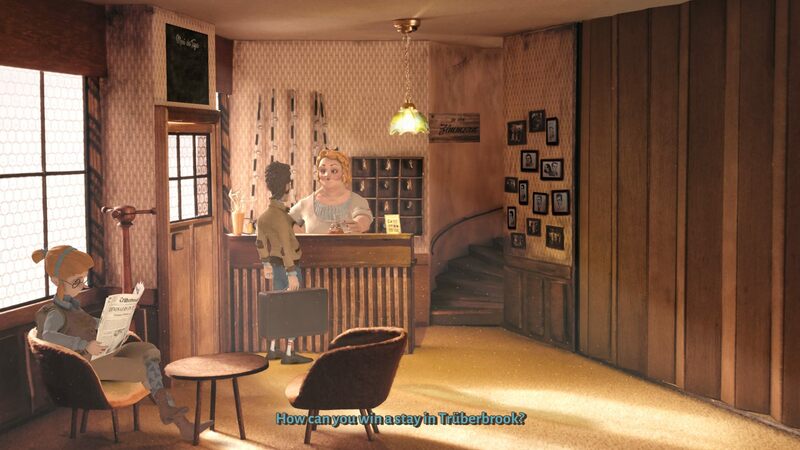 The game consists in the study of new locations, where we have to perform various tasks. The puzzles were designed to harmonize with the events told by the artists, so they are based on logical thinking, although in many cases they are based on the classical style of searching and combining objects. However, sometimes we have to take part in other activities, such as passing a psychological test or convincing another character. Suspense! Mystery! Thrills! After all, it’s a single player sci-fi mystery adventure game. We want to keep you entertained. Join American student Tannhauser, stranger in a strange land. Set in cold-war rural Germany in the late 1960s. Inspired by Twin Peaks, The X-Files, Stranger Things & Star Trek. Indulge in universal themes such as love, friendship, loyalty, self-discovery and dinosaurs. Full voice acting in both English and German. Up to 10 hours of super exciting gameplay. This game has been updated 25-03-2019, 15:21 to the latest version v1.4.